I asked Toronto’s Mihai Zaharia (a.k.a Zachary) about his career in 2011. Mihai is a longtime friend of mine from our hometown Baia Mare, in North-Western Transylvania. We both settled in Toronto in early 2000s. 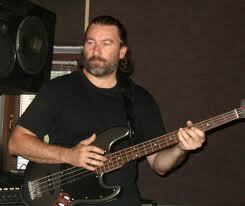 He is an accomplished songwriter, bass and guitar player, mentor and founder of several bands. What have you done – 2011? Well, my good people, I’ve puffed & huffed and found “Maingate”, an original Toronto new act with a 5 piece CD recorded, in need of low end for practice and shows. April bingo! Thought it would be also an enduring experience but life after Hamilton abruptly stopped and no other rehearsals, shows, meetings or much else, as a matter of fact, took place. Nobody and nothing can reasonably account for the weird hiatus that occurred after the video-shoot. I am purely dumbfounded by the whole situation and lack of reasons to explain it! My frustration reached deep into my gut and as many other hidden things that govern our modern society, the meaning eludes and leaves me totally clouded! In a few words, brilliant ideas – unfortunately coupled with a lack of real drive and identity! What a loss! The next step is to start rehearsing with the Maingate singer and putting together a new project, this time hopefully more viable!